Welcome to our website! Should you need additional information on pricing, please don’t hesitate to call. We offer month to month and year long contracts. Our mailing address is PO Box 1112, Monument, CO 80132. A retired military officer who, with his family, lives on the property. 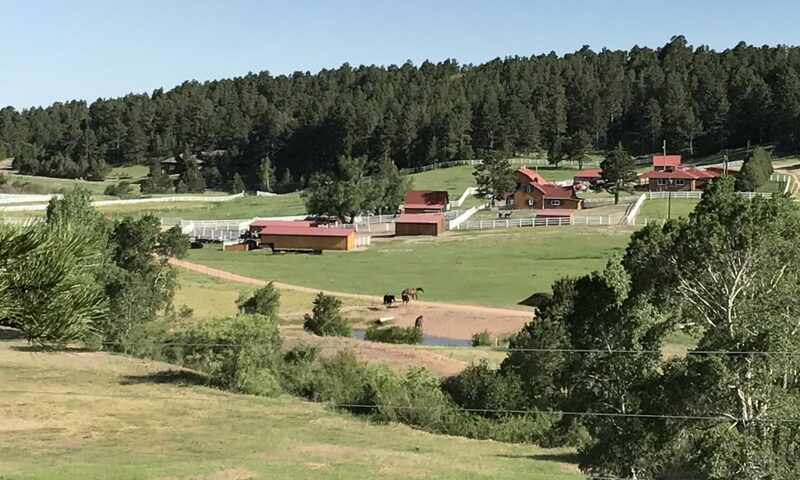 We are a 75 acre, self-care horse boarding facility in business for over 20 years. Located just west of the town of Monument, with easy access to I-25. Within 1/3rd mile of Pike National Forest and virtually unlimited riding. Loafing sheds, tack sheds, washing racks, trailer parking, individual feed storage, and toilet facilities are provided. Monument Creek provides an ample water supply for the horses. An arena and round pen are also located on the facility and available without charge.